​Barcelona manager Ernesto Valverde could be set to ring in the changes for his side's crucial Champions League quarter-final second leg clash against Manchester United in midweek, according to a report from Spain. 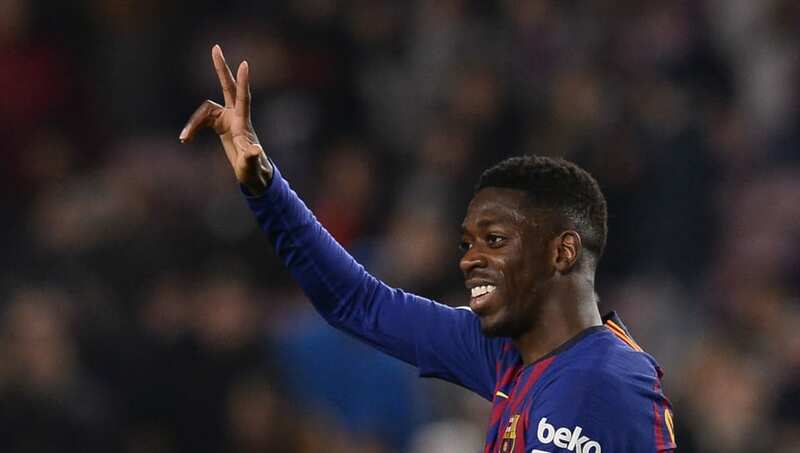 The report claims that ​Ousmane Dembele's return against Huesca proved the Frenchman has sufficiently recovered from his injury lay-off, and that former Liverpool star Philippe Coutinho may make way for the winger. Elsewhere, ​Arturo Vidal's performance in central midfield on Saturday has also seemingly created a selection problem, although Brazil international Arthur Melo is expected to return to the starting XI. Mundo Deportivo further claim that Valverde faces a 'blessed problem' over who will start at right-back, with Nelson Semedo's speed and power expected to be favoured over ​Sergi Roberto's 'control' in possession. Following the side's 0-0 draw at the weekend against bottom of the table Huesca, ​Barcelona's lead at the top of La Liga was cut down to nine points by nearest title challengers Atletico Madrid, with just six games remaining left in the season.